Local metal recyclers must have a contract with one of the aviation companies around here for I’ve been seeing more aircraft parts in the yard. 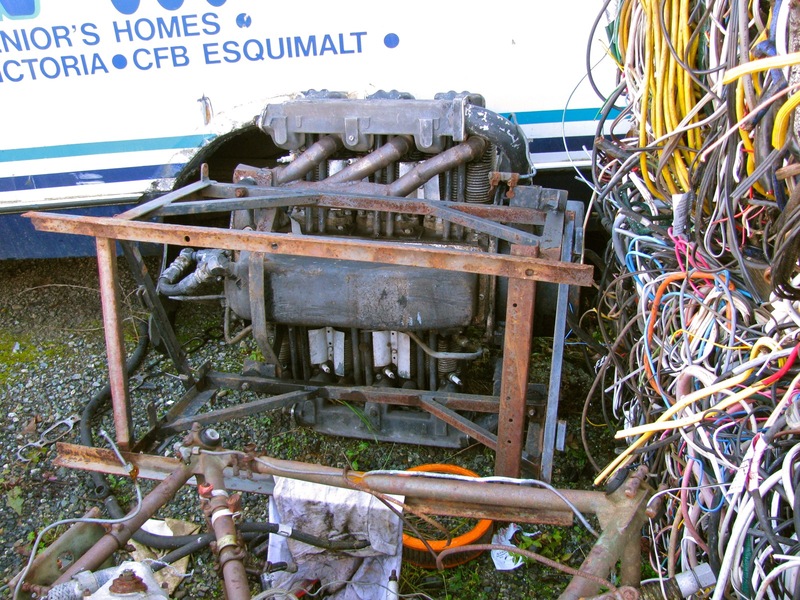 Wing sections, helicopter sections, and recently – these motors. 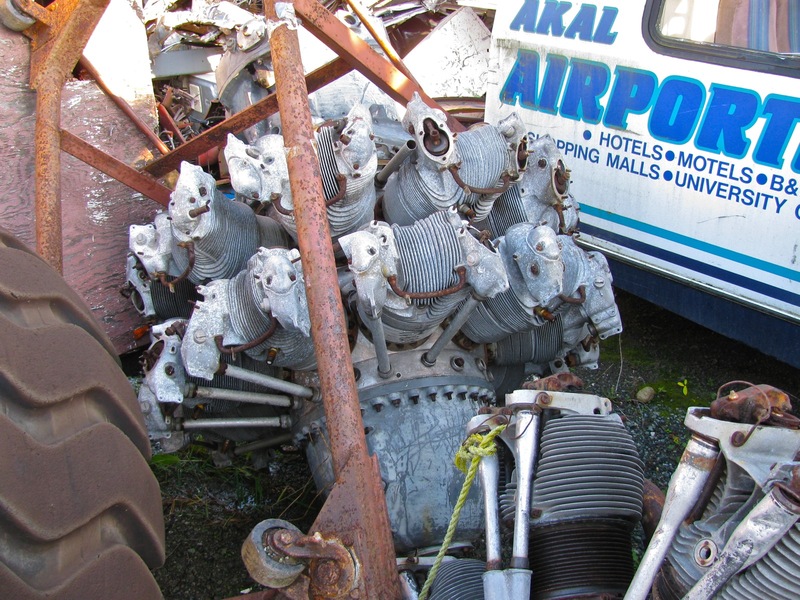 Update: the engines are from the BC aviation museum. Sometimes hard to understand why museums chuck stuff out, but there are space and money constraints I guess. This entry was posted on November 25, 2011, 8:13 am and is filed under aircraft, around the airport. You can follow any responses to this entry through RSS 2.0. You can leave a response, or trackback from your own site. 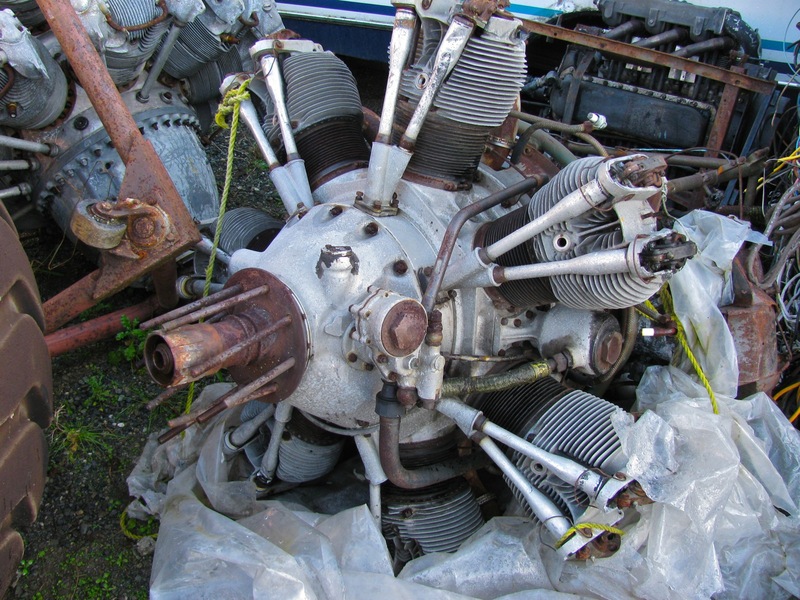 thinking of going with a radial engine transplant for the syncro?